Born in Paris in 1733, Hubert Robert had the opportunity to travel to Rome in 1754 as part of the entourage of a French ambassador. 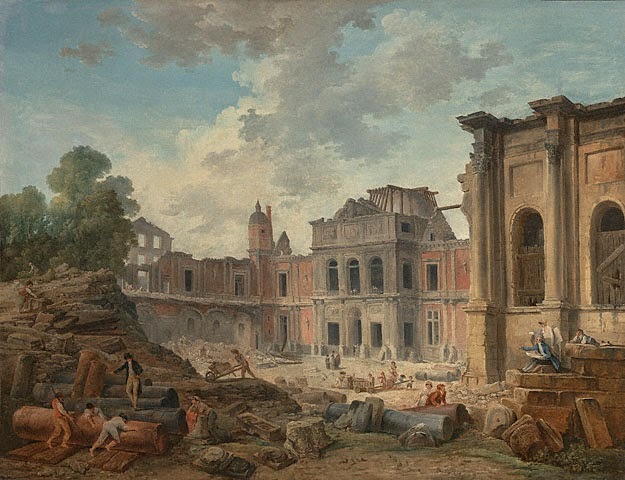 While in Rome, Robert stayed at the The French Academy in Rome and studied with Giovanni Paolo Panini, the school’s master of perspective, and Giovanni Battista Piranesi, a printer and draftsman. From these men, Robert learned the complexities of Roman architecture and began to incorporate them into his artwork. 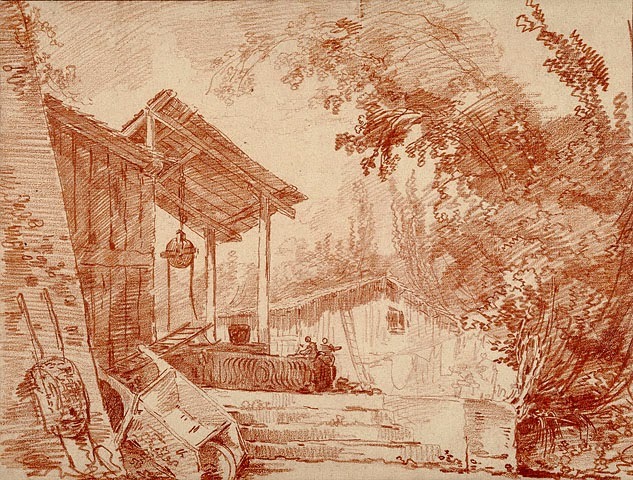 The drawing below, Farmyard with Two Figures by a Well and a Large Wheelbarrow in the Foreground (1760-1765), is one of Robert’s drawings from his time as a student at the academy. It is drawn in red chalk, one of Robert’s commonly used media, and makes use of blunt lines and varying line quality. This drawing contains a theme that is prevalent in most of Robert’s artwork: the juxtaposition of living nature and aged buildings. It was also common for Robert to incorporate both direct observation and his own imagination into a single drawing. Although Robert returned to Paris in 1765, most of his artwork continued to be based on his time in Italy. His evocative ruinscapes incorporate nature and history, drawing upon his nostalgia of Italian gardens and study of ancient Roman architecture. The composition pictured below, Washerwoman at a Fountain in an Italian Park (1779), uses black chalk, pen, gray ink, and watercolor. The original watercolor was red, green, blue, and yellow, but most of the color has faded with time. Washerwoman also displays fluent pen contours, a common characteristic of Robert’s work. This composition includes some of Robert’s favorite Italian motifs, including a neglected park, a classical temple, wild trees, and a monumental staircase. The fountain that was once part of a princely residence is now simply a basin in which women can wash their clothes. Washerwoman at a Fountain in an Italian Park is the reason I chose to focus on Hubert Robert, because as I was scanning through The Drawing Collection of the Stanford University Museum of Art, this image stood out to me as a creative and detailed landscape drawing. As I read more about Robert, I became fascinated by his use of multiple media and his incorporation of observed and imagined elements into a single drawing. His composition tells a story, as it is rich with historical references as well as his own memories from Italy. Although many of Robert’s scenes are set in Italy, he also depicted his native country of France. The painting below, Demolition of the Château of Meudon (1806), depicts the Château of Meudon, which was one of France’s finest monuments before it was ransacked during the French Revolution. It was then damaged even further due to a fire in 1795 before being entirely demolished in 1803. Robert combined fact and fiction in this oil painting, depicting features that were no longer in existence along with current elements of the structure. A theme that appears in many of Robert’s drawings and paintings is capriccio, or architectural fantasy. While parts of his work are from observation, he often incorporates aspects of his own idealized landscapes and buildings. Since Robert became famous for his depictions of landscapes, he decided to try his hand at actual garden design. 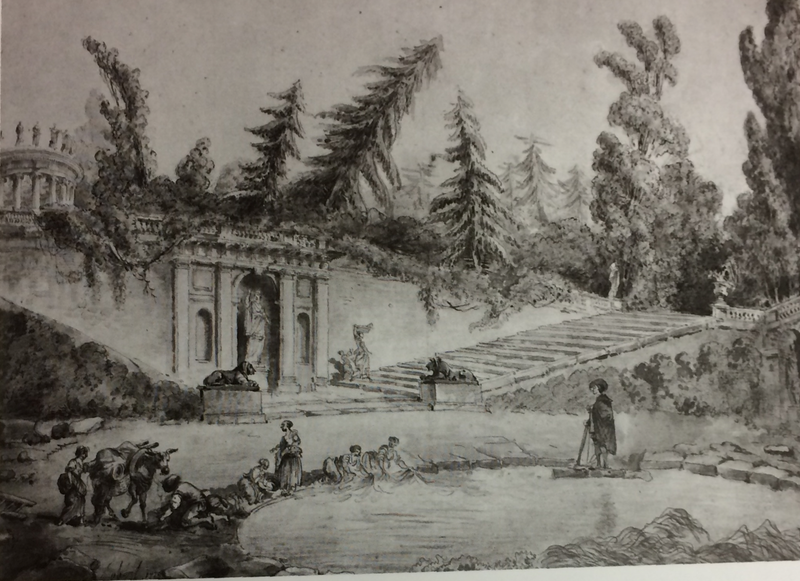 He completed his first garden in 1779, creating a grove for the Baths of Apollo in the Versailles garden, pictured below. This grove was made in the style of an English-Chinese garden, and it is still extant today. Eitner, Lorenz, Betsy G. Fryberger, Carol M. Osborne, and Dwight C. Miller. The Drawing Collection. Stanford, CA: Stanford U Museum of Art, 1993. "Hubert Robert." The J. Paul Getty Museum. Web. 29 Sept. 2014. 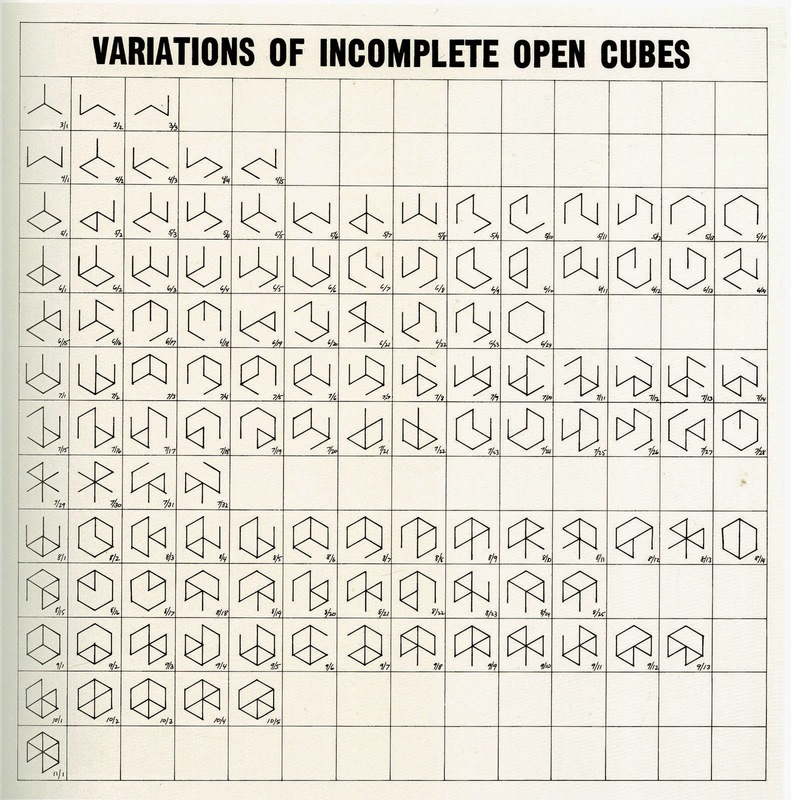 <http://www.getty.edu/art/gettyguide/artMakerDetails?maker=284>. "Robert, Hubert." National Gallery of Art. Web. 29 Sept. 2014. <http://www.nga.gov/content/ngaweb/Collection/artist-info.1832.html?artobj_artistId=1832&pageNumber=1>. "The Groves." Chateau De Versailles. Web. 29 Sept. 2014. 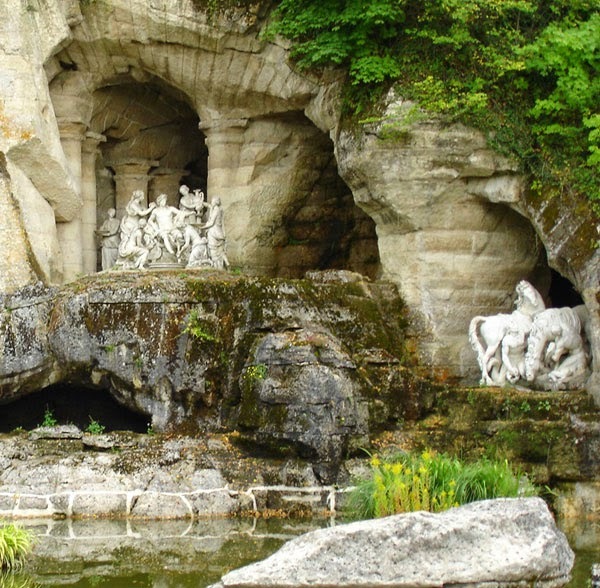 <http://en.chateauversailles.fr/discover-the-estate/the-gardens/the-copses/the-groves/the-groves/the-groves-2>. 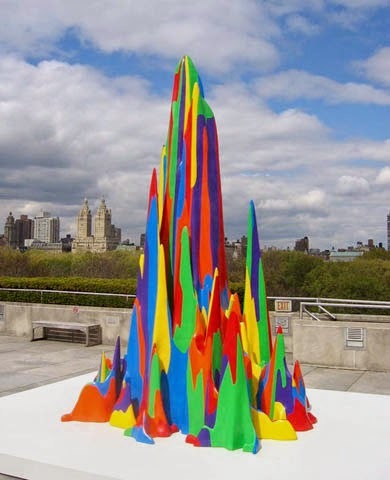 Sol LeWitt was an artist who pushed the limits with both his productivity and the magnitude of his work. However, he was incredibly humble from beginning to end. 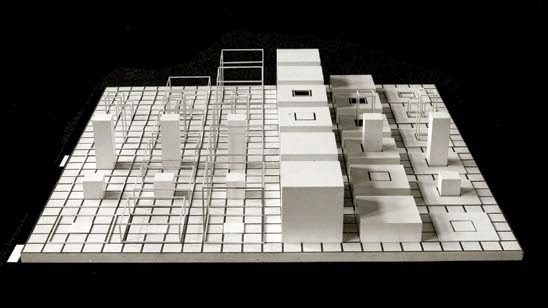 LeWitt kept a small studio, avoided the limelight, and even turned down multiple awards. 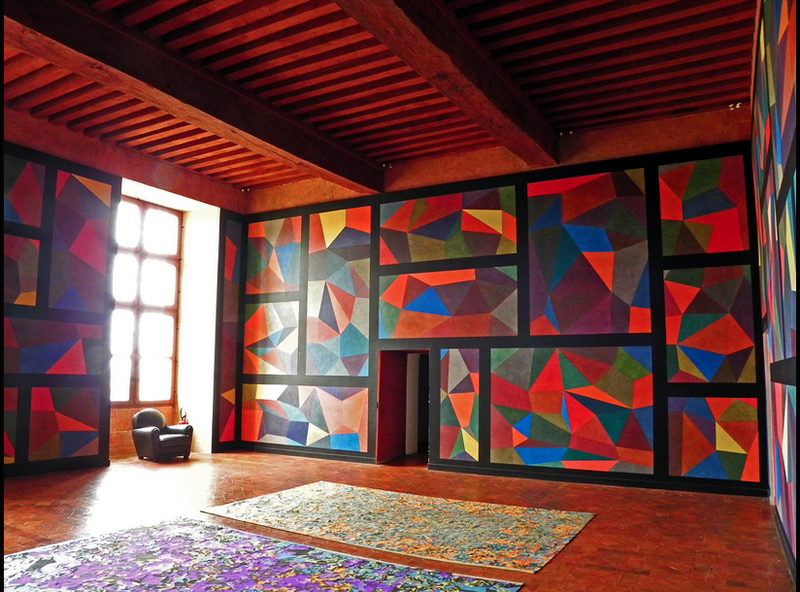 His sense of humor was closely tied to his art, as LeWitt once responded to an interviewer who commented on the novelty of his wall paintings that he believed the cavemen did it first. Even better, in my own opinion, was yet another 1968 project entitled Buried Cube Containing an Object of Importance but Little Value. This is, in fact, exactly what it sounds like. 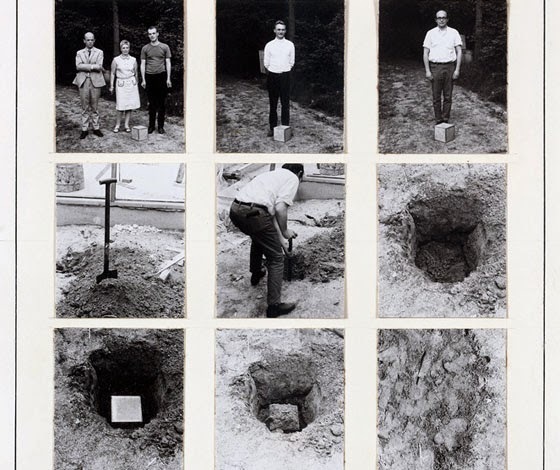 LeWitt built one of his trademark cubes and buried it in a local garden, with the entire process being documented only by the short series of photographs shown below. 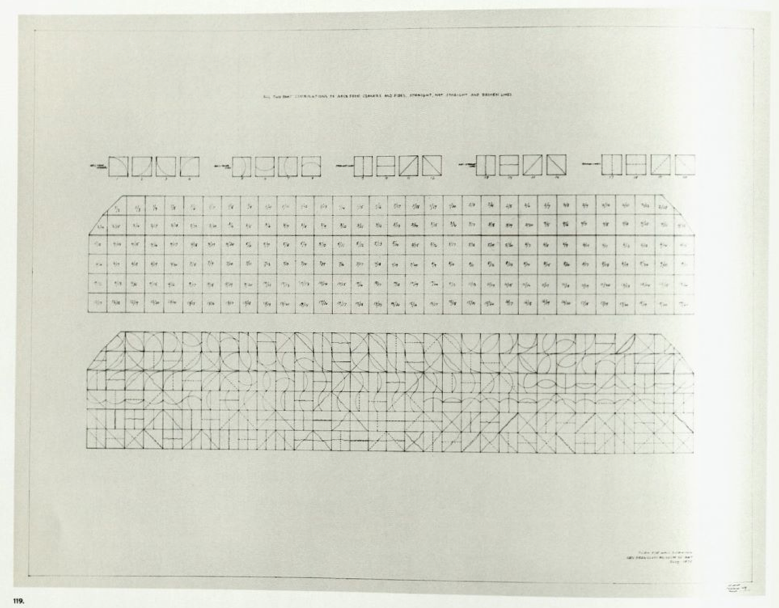 I include this as my last example of LeWitt's work for a couple of reasons; it is actually one of the relatively few photographs of the artist himself. 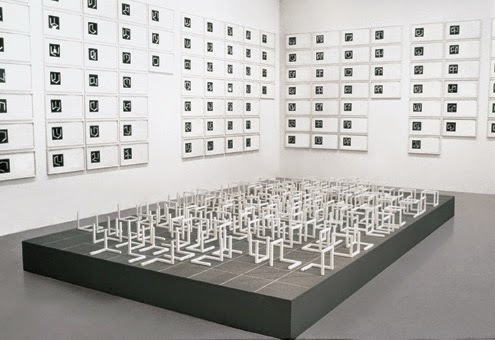 But more importantly, the entire process shows a self-awareness of absurdity that makes me admire LeWitt even more. I am both saddened to realize how narrowly my own generation missed out on seeing this artist create new work, and gratified that his methodology means we can continue to make it for him. 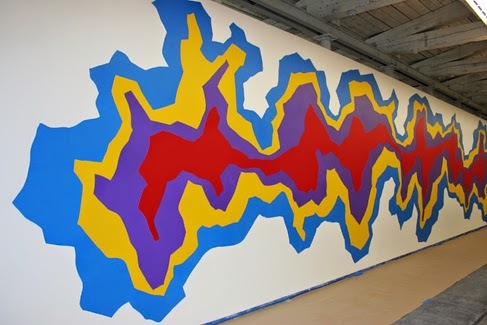 "Sol LeWitt A Retrospect." San Francisco Museum of Modern Art, CA, 2000; Yale University Press, London. Print. 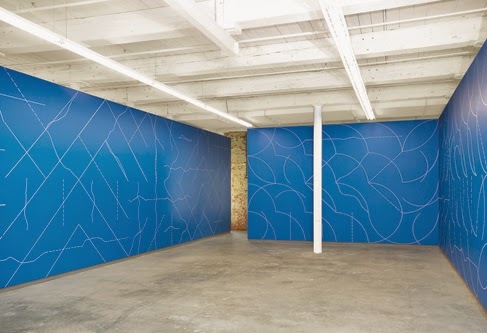 Baume, Nicholas; "Sol LeWitt Structures 1965-2006." Yale University Press, London. 2001. Print.